How do I enrol into an online class when I am an on-campus student? Do I need to be enrolled to access FedUni systems? View and download your GPA as a PDF in my Student Centre. Important note that the calculated figure does not reflect the actual mark, eg HD has a Grade Points value of 105.000, where the mark range is 80-100.) View further information on GPA. Select the Academic Records tile. 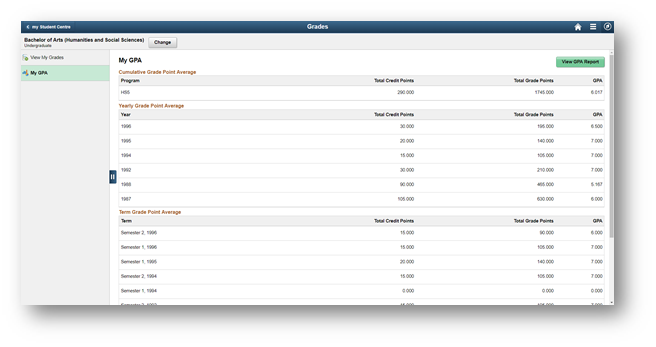 Your GPA will be displayed for the selected program for each term, year and cumulative. 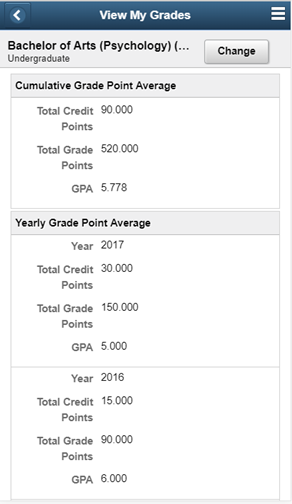 You can download your GPA by a PDF (ensure you have your pop-up blocker disabled in your browser) by clicking on the View GPA report. Note when viewing on a phone scroll down the page. Ensure pop up blockers are disabled on your browser. If you have more than one program you can change which program you view by selecting the Change button. Note that this calculated figure does not reflect the actual mark, eg HD has a Grade Points value of 105.000, where the mark range is 80-100.) View further information on GPA. If you have questions or would like assistance you can access Support once logged in to my Student Centre or contact Student HQ 1800 FED UNI (1800 333 864).